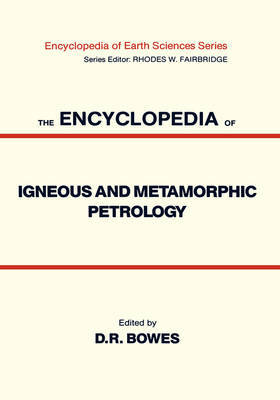 Featuring over 250 contributions from more than 100 earth scientists from 18 countries, The Encyclopedia of Igneous and Metamorphic Petrology deals with the nature and genesis of igneous rocks that have crystallized from molten magma, and of metamorphic rocks that are the products of re-crystallization associated with increases in temperature and pressure, mainly at considerable depths in the Earth's crust. Entries range from alkaline rocks to zeolite facies - providing information on the mineralogical, chemical and textural characters of rock types, the development of concepts and the present state of knowledge across the spectrum of igneous and metamorphic petrology, together with extensive lists of both commonly used and little used terms and bibliographies. Publisher: Van Nostrand Reinhold Inc.,U.S.